Many other models available. Contact us for pricing: 866-799-1288. Nomorobo stops unwanted telemarketers & robocalls from reaching your phone. With over 7,194,407 calls filtered, it's a perfect solution to have a better, safer phone service. 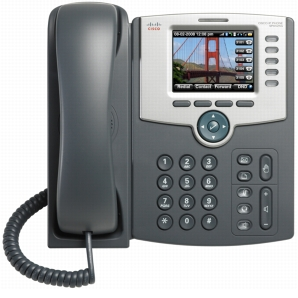 Included with our VoIP service. 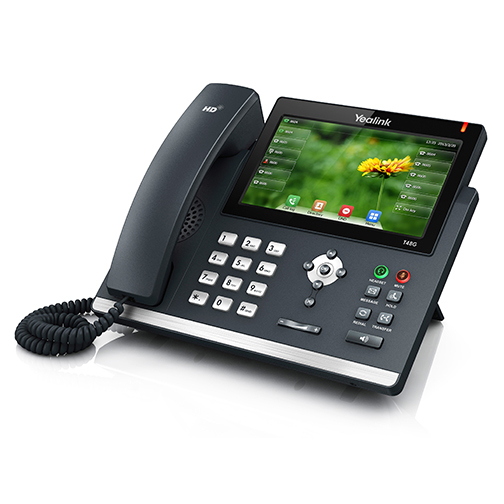 Brought to you by 1-VoIP, we've added another beneficial feature with your Business VoIP phone service. All calls placed on hold will play music instead of dead air. You can even customize it to play your own selection! Quickly and easily call and call-transfer to any phone. Your call may be monitored for quality assurance. Sound familiar? Control your callers to be answered by certain staff before others. Even announce a custom message to your callers. Having an automated phone tree helps direct your callers to the right hands. Control when your phones ring your office, forward, or go to voicemail. Easily configured to Date & Time. Never miss an important call again. Forward your extension or office to unlimited destinations. Get rid of your old fax machine. Send and receive faxes electronically through us. 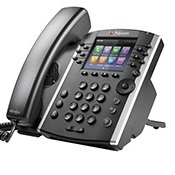 Upgrade your business phone system today! At 1-VoIP, we believe long lasting relationships with our customers are key to mutual success.